The Gomez Family from Oberhausen is now the proud owner and operator of its own food truck. “Solo Pizza” stands for authentic, fresh and extraordinary pizza creations, which are produced in an original Italian stone oven. 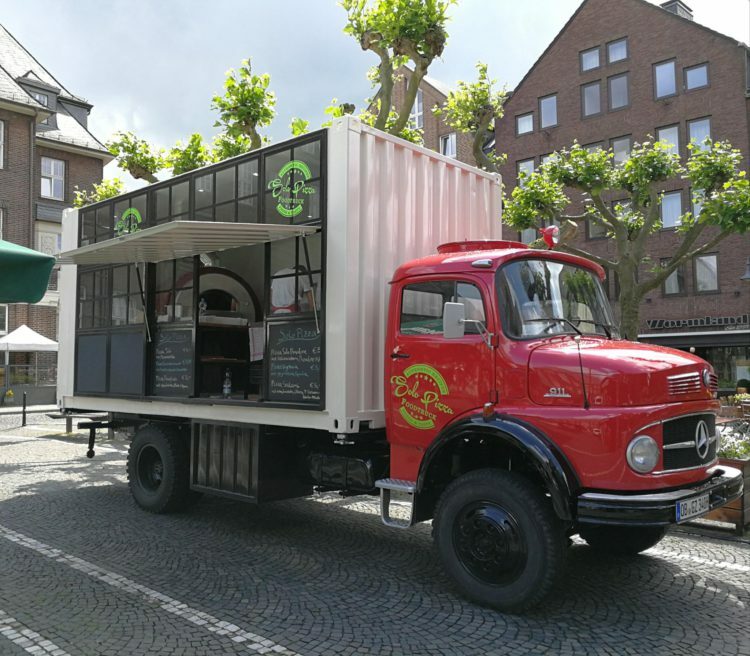 As proud denizens of the Ruhr region, the family wanted to show where it came from, which is why we gave the truck an industrial style, typical for the Ruhr area. A brick red, restored Mercedes-Benz LA 911, built in 1974, forms the basis and is completed by a former coffee overseas container, which has been transformed into a unique sales space with a lot of effort and lifeblood.